Punters who follow trends will have no hesitation in backing last year’s wooden spoon recipient, France, to bounce back in style and win this year’s Six Nations Championship. In what really looks like one of the most competitive Six Nations Championships since Italy joined the fray in 2000, one could make a case for any one of four sides – England, France, Ireland and Wales – taking out the tournament. Home advantage is massive in international rugby union – one has seen data that suggests that playing at home is worth at least seven points and perhaps as many as 14 – so it makes sense to look at the Six Nations Championship draw because it is inequitable and, frankly, a little bit of a joke. 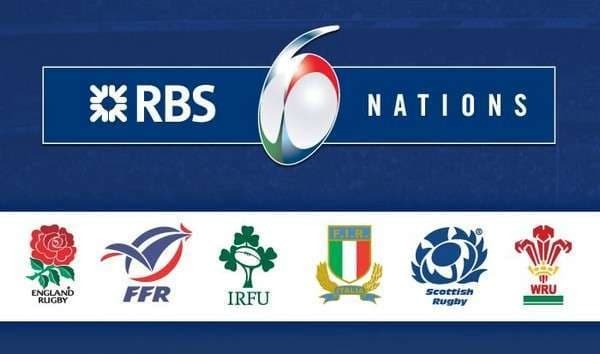 Each team plays five matches every year but France, Ireland and Wales get three home games in even-numbered years and England, Italy and Scotland get three home matches in odd-numbered years. So this year the home advantage lies with France, Ireland and Wales. And, of course, it matters as to which sides one plays away in the cycle as well. In 2014, France will play England, Ireland and Italy at home, which means that French will travel to Scotland and Wales. Ireland will play Italy, Scotland and Wales at home, which means that the Irish will travel to England and France. Wales will play France, Italy and Scotland at home, which means that the Welsh will travel to England and Ireland. To win the Six Nations Championship one really ought to have one’s home games irrespective of one’s opposition so one’s focus should be on away matches. France has the softest road schedule of the Six Nations Championship teams with only two away dates in 2014, with the French likely to be the favourites for their game in Scotland, a match that is scheduled for the fourth round. Of the Six Nations Championship sides that have only two home games in 2014, England is the clear pick because at least it gets to play two of its major title rivals at Twickenham. The key for England will be its first match against France in Paris. Win that and England will ascend to the summit of the tournament betting market but lose it and the English will travel to Scotland for their Calcutta Cup clash with not only their pride but also their season on the line. The first round will define England’s championship. So now on to the trend that one mentioned at the top of the article? Well, it pertains to Six Nations Championship results in the years immediately following a British and Irish Lions tour. The British and Irish Lions won their three-Test series in Australia last year, a tour that may have taken its toll on the England, Ireland, Scotland and Wales representatives that made up their squad. Since the Six Nations Championship began in 2000, the British and Irish Lions have toured in 2001 (Australia), 2005 (New Zealand), 2009 (South Africa) and 2013. In 2002, 2006 and 2010, the same team won the Six Nations Championship and twice it completed the Grand Slam. That team was France. And if one goes back to the last Five Nations Championship held in a post-Lions year, France won the Grand Slam then also. France is trading at odds of 3.75 with several European bookmakers to do this year what it has done in the each of the last four tournaments the year after a British and Irish Lions tour. And France is available at odds of 8.00 with Sky Bet and Spreadex to procure what would be its tenth Grand Slam, although Betway’s odds of 1.70 about none of Six Nations Championship sides winning every game in 2014 makes more appeal because there is very little to choose between four of them.